I don’t know if any of you remember the comedian Fanny Flagg, but if you do, you may also know that she is writer. 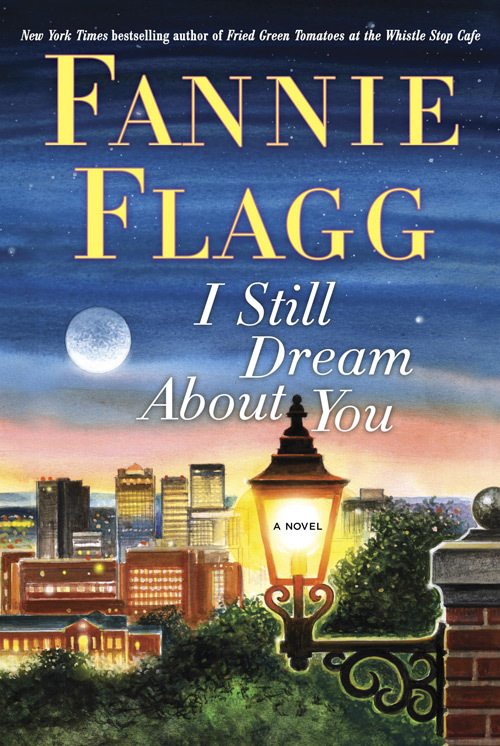 Her new book I Still Dream About You is a mystery of sorts and I enjoyed reading it. Fannie also wrote the very well known, Fried Green Tomatoes at the Whistle Stop Cafe. Her new book clearly conveys her love for Alabama. The opening of the book grabs the reader’s interest as does the story of a former Miss Alabama who is making plans to kill herself. The book isn’t particularly funny, but the cast of believable characters in it rang true to my memory of Southern women and are humorous in their ways. The plot within a plot is good and the book is a quick read that keeps you guessing up until the very end. I liked it! This entry was posted in Uncategorized and tagged Alabama, Books, Fannie Flagg, Miss America, South. Bookmark the permalink. Must check this out–I loved Fried Green Tomatoes, and Daisy Fay. I do love Fannie Flag! This is a good summer read! Fried Green Tomatoes is wonderful. Enjoy the book and thanks for your comment!